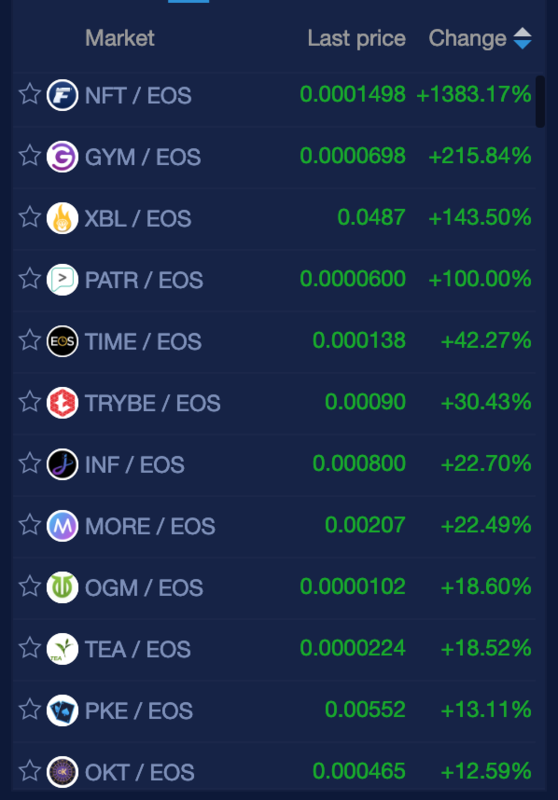 The larger cap crypto market is mostly mixed but there are some coins making some gains: BNB (9%), HOT (9%), XLM (4%) and ONT (19%) on coin360.io. 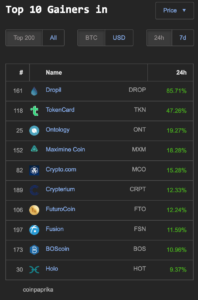 Coinpaprika.com has 9 coins coins with double digit gains today within the top 200 market cap. 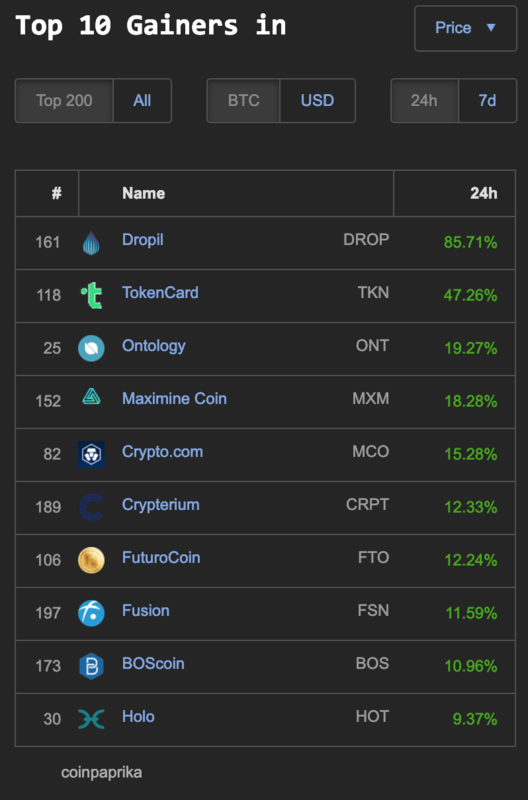 Deopil (DROP) 85%, TokenCard (TKN) 47%, Ontology (ONT) 19%, Maximine Coin (MXM) 18% and Crypto.com (MCO) 15%. 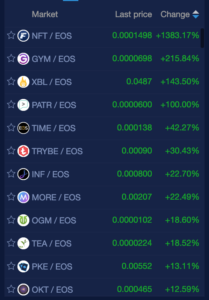 By far the largest gainers in cryptocurrency today are on EOS.